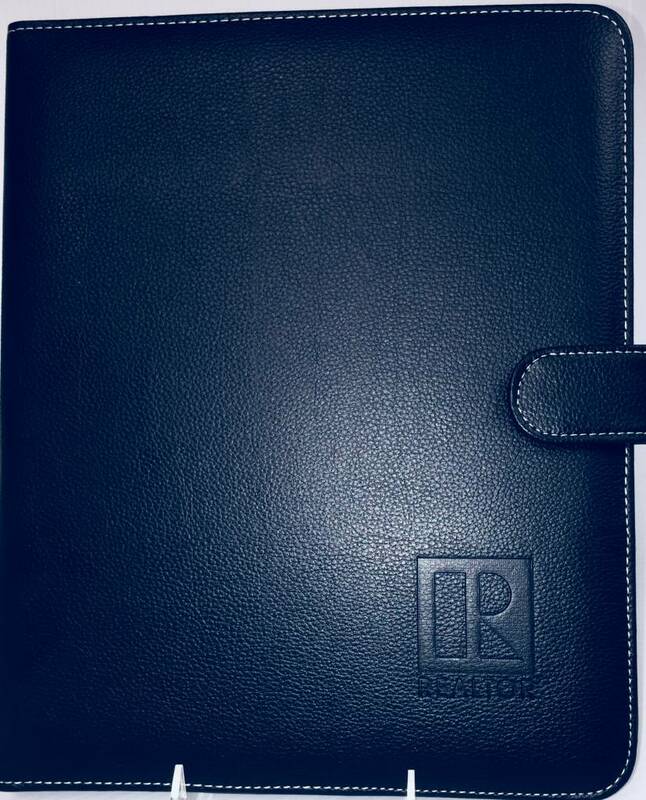 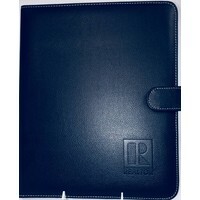 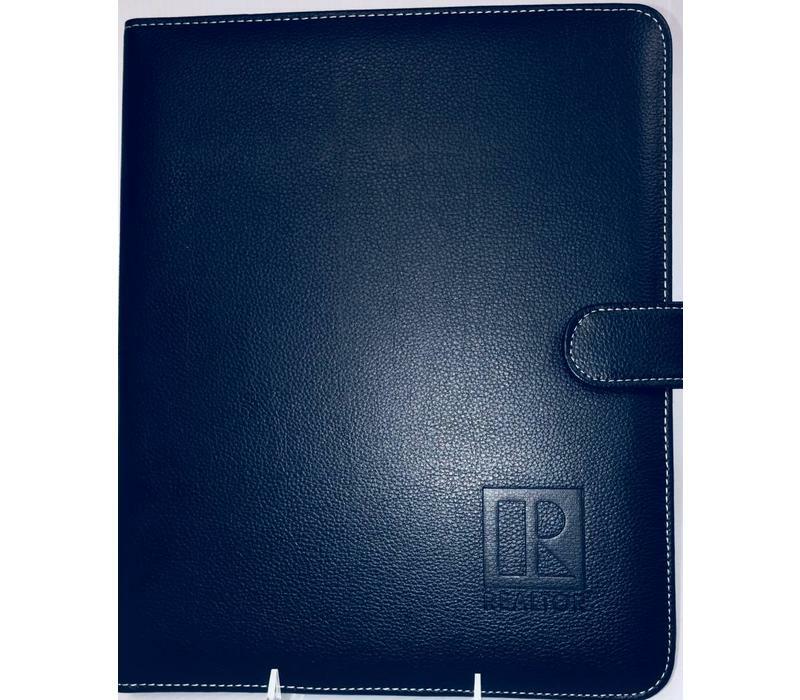 “R” Embossed-Nice quality feaux-leather covers an 81/2" x 11" pad. 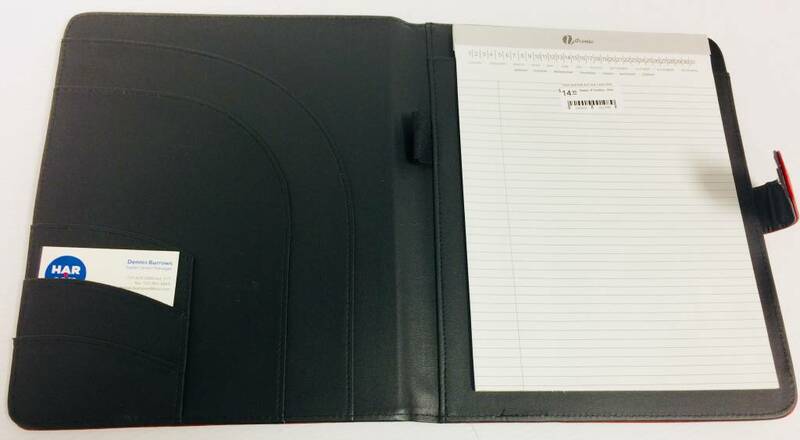 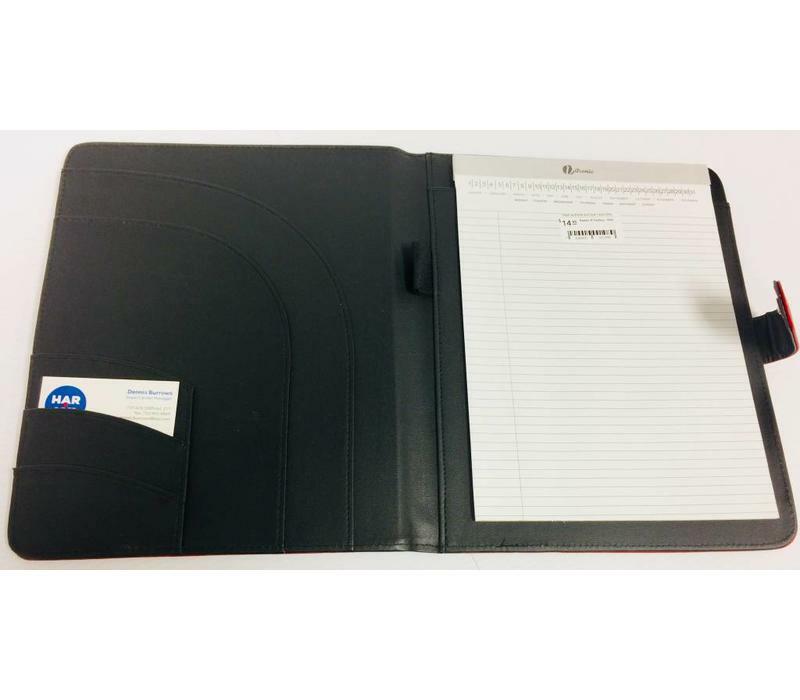 Inside the cover: slots for business cards, documents & a pen. 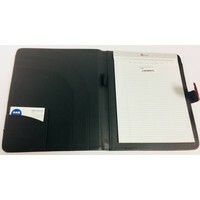 Magnetic clasp closure.